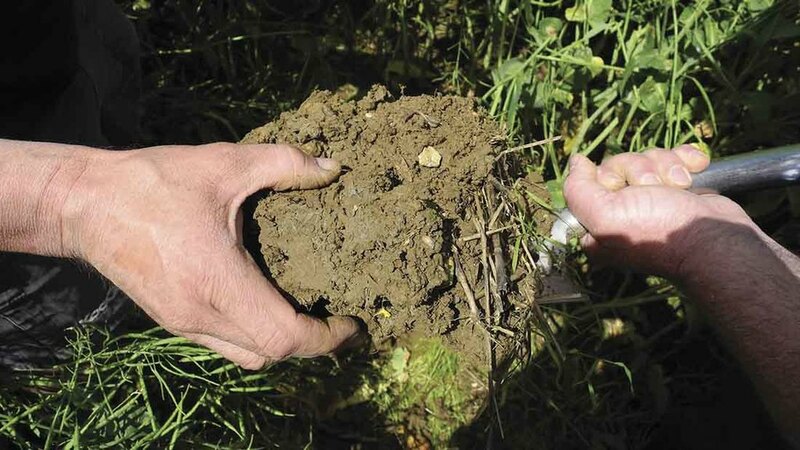 A series of record-breaking rains and severe droughts over the past few years has left farmers in Hungary suffering with low yields due to increasingly poor soil quality. But help is at hand for over 100 growers who are benefitting from a Syngenta project known as Contivo. Every year, these farmers pay €2.50 per hectare for support from the seed giant which helps them use new technology in conservation tillage and teaches them targeted crop agronomy techniques to reduce soil erosion and maintain soil health. They also benefit from advice and help from other bodies that have agreed to take part in the programme such as local universities, banks and insurance brokers. The project is part of Syngenta’s Good Growth Plan, which aims to increase yields across the world while reducing water and input use. Peter Szabadka, a farmer who has subscribed to the programme, said: “My farm was dealing with challenging weather conditions. We could go two months without any rain then get 2-3 months’ worth of precipitation in a few days, so my farm was going from having internal water channels to no rain. “We tried to cope with this on our own by investing in new machinery and increasing our input costs, such as fertiliser, but I have to admit that did not work, so we started to look for help externally. Syngenta has a dedicated team of experts who are ‘fully focused’ on giving advice to farmers as part of the Contivo project, but participating universities are also able to offer guidance when necessary. At the moment, the Contivo programme only runs in Hungary, but similar projects are underway in Mexico, where 1,000 farmers are benefitting, and Russia, where seven farms covering 464,000 hectares are taking part. In Russia, Syngenta is working to help farmers bring completely abandoned land back into production in under 10 years – a task seen by some as impossible. Head of environmental policy at Syngenta Romano De Vivo said the Contivo programme was set up because the company believed transferring new knowledge and practices to farmers was crucial, but it has been a work in progress. “Step by step we understood certain things were working well and others were not working so well”, he said. Farmers can ask to take part in the project in a number of ways. Usually they approach one of Syngenta’s specialist staff, though connections have sometimes been made through distributors. The company also arranges field events and often opens ‘demonstration farms’ up to potential participants so they can see the concept for themselves. Karoly Budi has moved to conservation tillage and modified his farm’s cropping as part of the project. He said the techniques he learnt were faster and less expensive than the traditional plough and give the flexibility to tailor the cultivation depth required for each field and specific crop rooting requirement. “It will enable us to better cope with the double whammy of increasingly difficult climatic conditions and more volatile commodity prices”, he added. His yields are now around 20 per cent higher than the regional average and he believes he has a balance of cropping which helps to mitigate market volatility. But how does Syngenta offer this service at such a low price? Mr De Vivo said the programme is ‘self-financing’ and the small price tag was just a way of mentally connecting farmers to the idea they are renting the time of someone to get support. “If you trust I will help you improve the way you farm, at the end the products you buy will be more in favour of my company”, he added. “You will also probably select some of my best products, so I will most probably sell more with slightly better margins and everybody will be happy. “We see in many countries farmers are very loyal to Syngenta because our support helped to transform the way they manage their farm and brought them other positive results from a socio-economic and environment point of view. When asked whether the Contivo programme could work in Britain, Mr De Vivo said Syngenta ran projects there which were ‘more respondent to characteristics in the UK’, name-checking HYVIDO hybrid barley, which the company claims is effective in black-grass situations. “We do very similar things everywhere, because our people are trained to transfer knowledge”, he added.